Although we seemed to have missed the main season of the tree peony blooms at the Luoyang National Peony Garden, there were still a few last buds opening on some plants in the gardens and the herbaceous peonies were just starting to come into bloom. 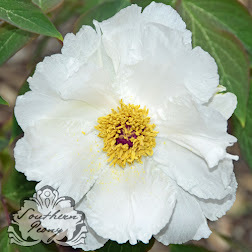 I was able to collect some nice pollen from several different tree peony varieties of all colors, lavender, pink, lavender-pink, pale pink, orange red, red, white, yellow. I even found a patch of tree peonies that they had hybridized. They were covered with white bags marked with a Chinese character, and paper-clipped shut. This week seemed to be the season for the majority of the yellow tree peonies, which they had fields and fields of blooming very contently. It seems the Chinese love to propagate the same varieties in huge masses for a grandiose affect. There were two sides to the China National Flower garden, a North side and a South side. There was a pedestrian footbridge over a very busy road that allowed you to access from the North and South garden. The "small" Chinese city of Luoyang is inhabited by approximately 2 million people. So compared to where I'm from, it is about double the size of the triad (three city) area I live in. 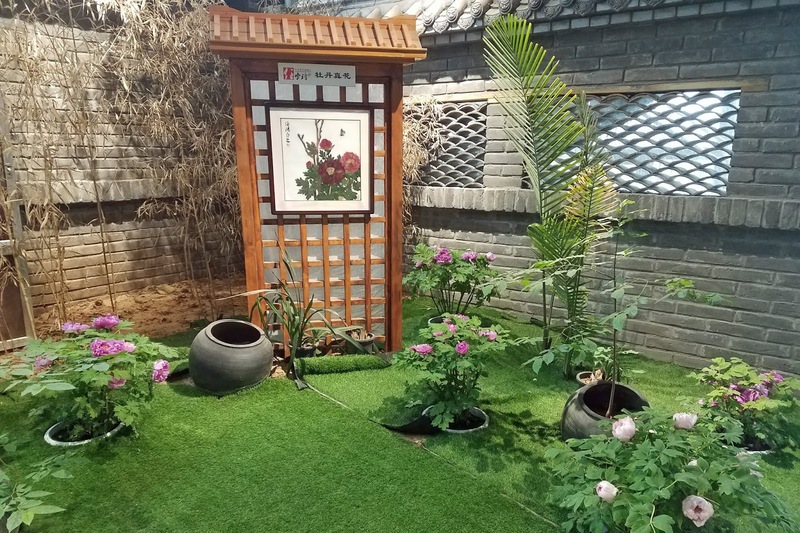 Each side of the garden had an exhibtion hall, which contained air conditioned gardens that were set up in the Chinese gardening style, with pagoda style wooden buildings, small white fences, rocks, streams, bridges, and meandering paths. Inside the gardens were grassy areas (made of astro turf) with prebuilt indentions where large potted plants could be inserted and removed. 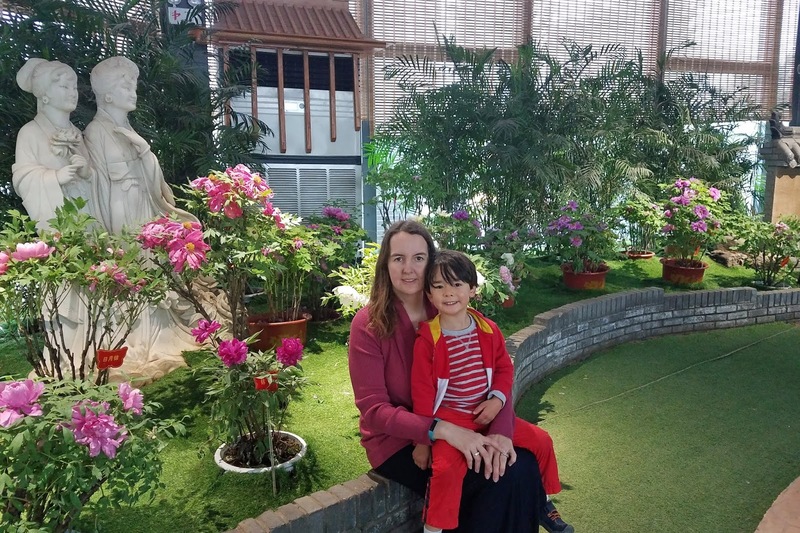 It appeared that they would rotate potted tree peonies in and out of these indoor astro turf gardens as the peonies went in and out of bloom, so that there was always something blooming beautifully in these indoor gardens. 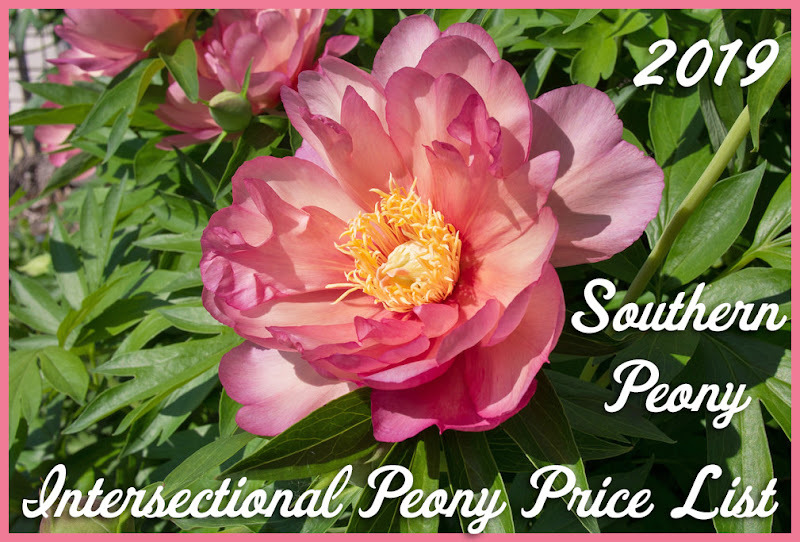 There were also a few vendors selling potted tree peonies, potted herbaceous peonies, and peony seeds outside the garden. Of course inside the garden they were selling anything peony they could think of as well. On the inside they had sidewalk vendors selling everything from peony flower crowns, peony flower fascinators, peony paintings, 3-D peony prints, peony scarves, peony seed oil, peony candy, pastries filled with peony filling, and peony fans. I even saw a few peony T-shirts. 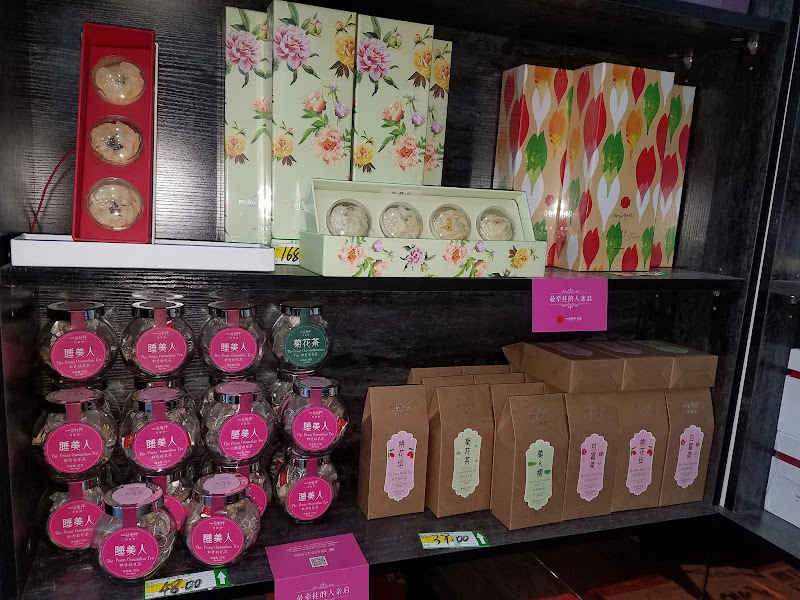 We had to pick up a peony crown for my daughter, a peony scarf for myself, and some peony pastries and peony teas to bring back for relatives. 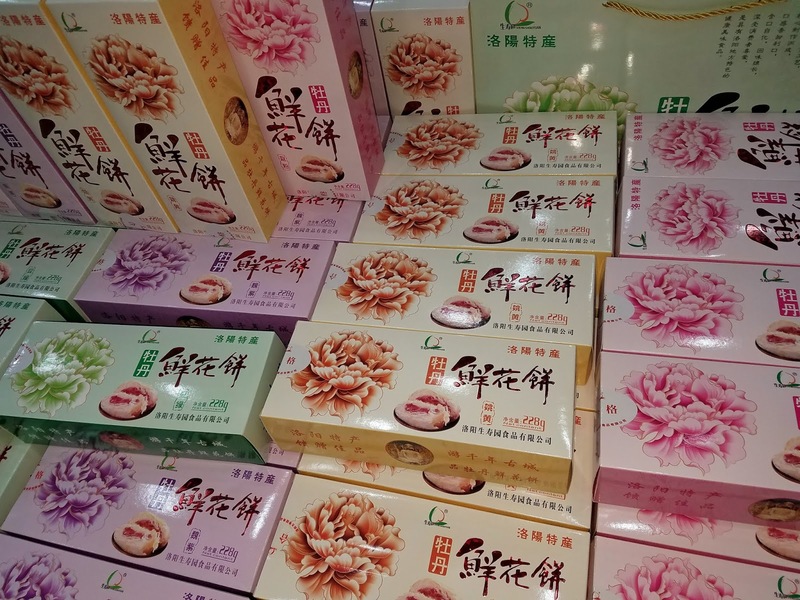 The peony pastries are a special treat that is local to Luoyang, China.